The Arc of Greater Boone County was able to start a recycling program in their facility by utilizing a Community Grant from the District. 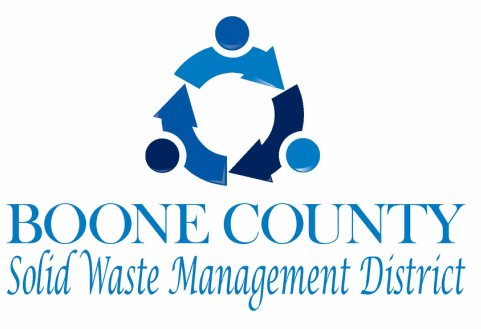 The District is responsible for implementing programs to promote proper integrated solid waste management within Boone County. To supplement the progress towards meeting the objectives of the District’s programs, the District is pleased to offer a community grant program. 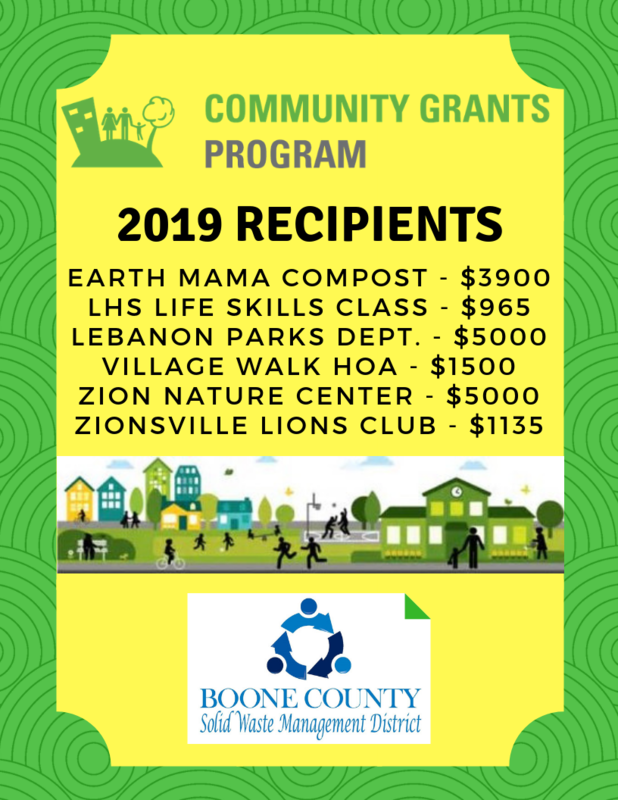 The community grants are intended to help conserve natural resources, decrease dependence on disposal, demonstrate the importance of sustainability, and generally promote improvements in the health and welfare of the residents of Boone County. Eligible groups for the grants include all local units of government, non-profit organizations, schools, civic organizations, businesses and clubs operating within Boone County are eligible to apply. Applicants may apply for a grant of any value up to $5000 in any particular calendar year. The District has set aside annually a total of $17,500 for the grant program. The funds must be distributed within the following calendar year and all grant funded activities must take place within Boone County. ﻿﻿﻿The District’s mission is to educate residents within our District about appropriate solid waste management. This educational focus allows the opportunity to reach out to elementary aged students and provide programs based on the Indiana state education standards at no cost to the school or students. A focus on the environment, the 3 R’s (Reduce, Reuse, Recycle) and other important topics will impact them today as well as for a lifetime! ¨ Freddy the Fish - Who Polluted the Water? The District welcomes any opportunity to speak to adult groups as well about proper disposal and environmental advocacy. We also host educational booths at a variety of local events. Stop by and visit with us!